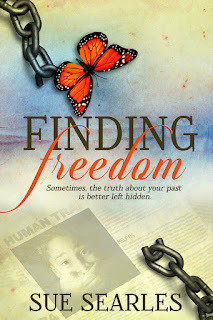 Today, I want to welcome Sue Searles, my step-sister, with her gripping novel, Finding Freedom, set in Nigeria and South Africa. It's a story of the tragedy suffered by modern-day slaves - victims of human trafficking. When I first read this book years ago, I couldn't put it down! It's one of those stories that reaches right down to the heart! Sue published the book on Amazon and it had some wonderful reviews. She has since edited it and it's been published by Clean Reads. Action, intrigue, and deception make up this intensely human story. Naïve Emily Garrett discovers that her safe, secure upbringing has been a devastating lie. Snatched on the day she was born, apparently by the same people she calls her parents, she is forced to learn the reasons for their desperate actions. Ifetayo Ayassou finally finds the courage to escape her hellish existence as a trafficking victim and, coupled with the difficult healing process, she begins a search for the child she was forced to give away eighteen years ago. Two women plunged into the underworld of human trafficking, both in search of freedom and truth—and each other. But, will their paths collide? Her plan was set in motion. Lea would take her usual long walk to the market as if nothing was different. But then instead of returning to the house at the end of the day, she’d go in the opposite direction. Destination Togo—wherever that might be. A wave of terrifying exhilaration washed over Lea as she stepped out of her mistress’s house for the last time. A collection of painful memories was contained under that roof, each room telling its own horrific story. The idea of living alone on the street was beyond frightening. She’d done the unthinkable, and while the idea made her panic she had a plan, up to a point. For the first time in her life she had a purpose—to find her mother and see for herself if the woman still remembered her or cared about her. Until then, Lea would have to watch her back and find a way to survive. She bit back tears, too afraid to let them fall. For now, the sweet taste of freedom would be her main concern, and it was more gratifying than she could ever have imagined. The congested marketplace drew her in with its roadside bukas, each stall taunting her with its enticing smells of smoked fish and snacks sizzling in palm oil. Despite the comfort of the familiar surroundings, Lea felt unusually restless today, second-guessing her decision for the hundredth time. She was still in familiar territory and it wasn’t too late to turn back. She took comfort in the busyness of the jostling vendors and the colorful stalls, a sight she knew so well. It would be tempting to return to a life that was at least predictable, even if it was horrendous. No! She had made up her mind. Perhaps there was still a trace of the spirited girl she once was, after all. The unforgiving Nigerian sun sliced through a thick, gray blanket of cloud, enveloping the village in a shroud of dreary smog. Lea made sure she’d sold about half her quota of loaves, before immersing herself in the crowd and taking her first steps of freedom. The sense of exhilaration mingled with pure terror, but she had to keep going. Freedom must be foremost in her mind. She tried to picture her mother’s face, even though the memory was hazy. Perhaps that would keep her calm and help her to press on. She thought of Mother’s arms around her and wondered if she’d ever see her again. Lea swatted away angry tears. This was no time for pipe dreams; she had to be strong. Soon Lea was in unfamiliar territory. The crowds thinned and she was alone in a labyrinth of back streets with old, neglected buildings and overgrown gardens. Obeche trees drooped overhead, pinning her with dense overgrowth. She felt claustrophobic and trapped in this strange, lonely world. She kept going, the early stage of blisters searing her swollen feet. She rounded a corner and was thankful for the bustling activity up ahead. An elderly man buzzed past on a whining scooter and a pair of stray dogs chased each other across the street. A family of six sat on the side of the road sharing an afternoon meal. Lea had never been this far down the end of town and she started to panic. It was too late to turn back now. In a few hours it would be dark and Alina would know she wasn’t coming back. She determined in herself that she could not—would not—get caught. As the crowds thickened, she clutched the baskets carrying the remaining loaves of bread. They were her only possessions, apart from the threadbare notebook wedged deep in her waistband. She kept checking to make sure it hadn’t fallen out along the way, and walked until her feet ached. Before long, buildings cast elongated shadows across the narrow street and darkness wrapped its arms around her. Lea’s anxiety multiplied as her mind wandered to Auntie Alina. Did the woman know yet that she wasn’t coming back? The thought choked her with fear. Sue Searles has written several books, ranging from women’s fiction and short stories to poetry and children’s books. Having worked on various forms of storytelling since childhood, writing has been a lifelong passion. Now somewhat older and wiser, she is passionate about thinking outside the conventional box, and conveys messages that are thought-provoking and life-changing. 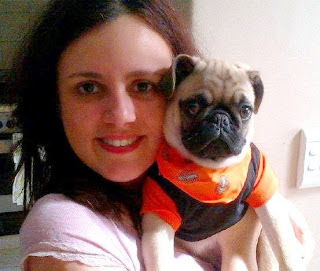 Her inspiration comes mainly from studying people, reading, and daily life. Sue is happily married and lives in sunny South Africa with her husband and son. Hello Sue, it is really nice to meet you. 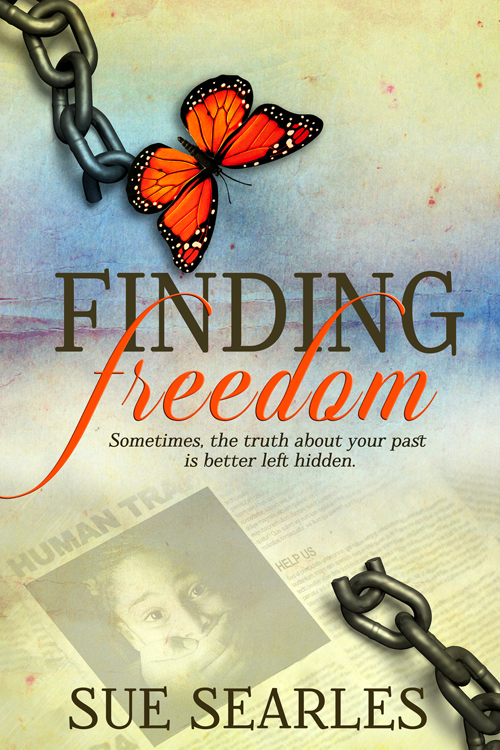 Finding freedom definitely sounds thought-provoking. Personally, I worry about the many women and men who are forced against their will to work or commit crime to earn their stay abroad. How awful. I will grab a copy just to find out how Lea got on with her run to freedom. Great! Thanks so much, Stella. I look forward to your feedback.